French startup Doctolib will take advantage of recent legal changes that will make telemedicine legal in France. Starting on January 1st, you’ll be able to book face-to-face appointments on Doctolib as well as remote appointments. Doctolib is a marketplace with 60,000 practitioners using the platform to manage their calendars and let people book appointments through Doctolib’s website. Millions of people then browse Doctolib’s website and app to find practitioners and book appointments. Doctors pay a monthly fee to access Doctolib’s service. While it’s still unclear how it’s going to work, Doctolib plans to tap its existing community of doctors to let them accept remote appointments too. Doctolib is already testing the service with 500 practitioners. According to the legal framework, you won’t be able to hop on Doctolib, find an available doctor and start a video call with them. The idea is that you don’t have to show up in person every time you need to see your doctor. Once in a while, a remote appointment is enough. That’s why you’ll only be able to book remote appointments with practitioners who know you already. But the good news is that remote appointments will be reimbursed by the national healthcare system, just like any appointment. Details are still thin when it comes to the payment system and the communication platform. In order to work on that new service, Doctolib plans to hire 150 engineers and open up a big office — the Health Tech Center. It’s not going to be limited to the Doctolib team as the company plans to invite officials, practitioners and more. Die Zeit läuft aus, Leute — time is running out, people! You have less than 24 hours to apply to be a TechCrunch Top Pick at Disrupt Berlin 2018, which goes down on 29-30 November. It’s one of the smartest moves that early-stage startup founders can make, so go apply now before the application window closes on Friday 28 September. You’re still here? OK, so maybe you need more information about how we select TC Top Picks and all the benefits associated with that prized designation. We get it. The vetting process is very competitive, and our TechCrunch editors — a highly discerning lot — will thoroughly review every eligible application. Up to five cream-of-the-crop startups in each category will earn a TC Top Pick designation and each startup will receive one free Startup Alley Exhibitor Package. Free as in zero Euros. Talk about some mighty ROI. The Startup Alley Exhibitor Package includes a one-day exhibit space, three Disrupt Berlin Founder passes, access to CrunchMatch (our free investor-to-startup matching platform) and access to the Disrupt press list. In a classic “but wait, there’s more” moment, all TC Top Picks will be interviewed by a TechCrunch editor on the Showcase Stage. We’ll promote each three-minute video interview across all our social media platforms. It’s the marketing gift that keeps on giving. If you’re not familiar with Startup Alley, it’s Disrupt’s exhibition hall and the pulsing heart of the tech conference. Hundreds of pre-series A startups will showcase their tech talent, products, platforms and services to more than 3,000 attendees and more than 300 hundred media outlets. If you’re looking for new customers, media coverage or future investors, you need to exhibit in Startup Alley. Die Zeit läuft aus, Leute! Don’t let time run out on your chance to be a TC Top Pick and exhibit at Disrupt Berlin 2018 for FREE. The September 28 application deadline is less than 24 hours away — apply here right now. Bitmain’s IPO is the big news in the crypto world this week. The company just filed its IPO prospectus and the numbers are impressive, particularly the year-on-year growth between the first six months of 2018 and a year prior, which saw a near-10x jump in revenue and 7x growth in profit. Nevertheless, that aggregated six-month number may be masking what was a poor quarter of business for Bitmain. Bitmain didn’t break out its revenue for Q1 and Q2 2018 in its prospectus, instead it blended them together with a nice looking figure for the first six months of the year, H1 2018. But we can crunch some numbers to give an idea of what it might be. TechCrunch previously reported through sources that the company’s Q1 2018 revenue hit approximately $2 billion. Additionally, Fortune previously reported that the company carded a $1.1 billion profit during the same quarter, a number that’s in line with these revenue figures given that the prospectus reports a net margin of around 50 percent. For comparison, popular cryptocurrency wallet Coinbase made $1 billion in revenue in 2017. But if we combine the aforementioned data points with the figures that were just reported, the Q2 numbers don’t look pretty. Specificifically, if combined H1 revenue was $2.9 billion with a $1.1 billion profit, then Q2 saw revenue sink to around $800 million with a loss of $400 million. That would be Bitmain’s worse quarter yet and not the kind of momentum that you want going into a listing. My colleague Jon Russell earlier observed a number of potential risk signs in stated numbers: margins overall have come down. Gross margin in the first six months was 36 percent, down from 48 percent in 2017 and 54 percent in 2016. Contributing to that, the cost of sale percentage in the first half of 2018 rose to 64 percent from 51 and 52 percent in 2017 and 2016, respectively. Additionally, he detailed how the company over-estimated demand in 2018, and, as a result, its inventory ballooned by $1 billion. That unsold product is another indicator that Q2 did not go as planned. We can also examine the financials from a holistic perspective. Adjusted return-on-asset (ROA) and return-on-equity (ROE) are indicators of how profitable a company is relative to its total assets and equity, respectively. Both numbers almost halved in 2018 vs 2017. So even though Bitmain was able to grow its top and bottom line, its overall operating efficiency has declined significantly, from 60.9 percent to 31.4 percent in adjusted ROA and 112.3 percent to 58.9 percent in adjusted ROE. Where that operating efficiency level could stabilize will likely be a focus for public equity investors. With 94 percent of 2018 revenue coming from mining rigs, up from 80 percent from 2017, Bitmain is increasingly looking like a pure chips company, subject to cryptocurrency market conditions. As a reference, hardware company Nvidia, a company based out of California that also makes computer chips, generated revenues of $9.7 billion in its 2018 fiscal year (2017 calendar year). It’s been operating for 19 years as a public company and its ROA was around 27 percent and adjusted ROE was around 40 percent in calendar year 2017. Nvidia told investors last month that revenue from crypto-related sales had substantially declined, another factor that indicates Bitmain’s Q2 was a tough one. More generally, Bitmain currently has 11 mining farms in China, including Sichuan and Inner Mongolia. It’s looking to build out 3 new mining farms in the U.S. in Washington, Texas and Tennessee, while it is also contemplating a mining farm in Quebec. This indicates that the team is cognizant of their concentration in revenue from mining rigs and is attempting to diversify into other businesses. TechCrunch looked at the top equity holders closely and it appears a total of ~60 percent is owned by the top 5 founding individuals. We know of co-CEOs Wu Jihan and Micree Zhang that own majority of the portion, but there is also Zhao Zhaofeng, Ge Yuesheng, and Song Wenbao. The next largest shareholder is Sequoia, which owned the investment through another entity called SCC Venture VI. Sequoia owns over 2 percent of Bitmain shares through its various funds. Coatue also owns 0.14 percent. The employee’s pool in aggregate was about 18.5 percent. Aside from Q2 numbers and potentially a hit in Q3 from the ongoing market downtrend, there are few other investor concerns that may surface. For one, Taiwan Semiconductor Manufacturing Company (TSMC) is Bitmain’s single largest supplier, accounting for 59.2 percent of total supply in the first half of 2018, and generally hovering over 58 percent in the last 2.5 years, leading to concentrated supplier risk. Another issue is that for the cryptocurrencies that Bitmain owns — that is, Bitcoin, Bitcoin Cash, Ether, Litecoin and Dash. Bitmain accounted for these cryptocurrencies at cost, which means that the value of these cryptocurrencies is priced at the time of acquisition, not at the current market value. A decent portion could have been acquired during the bull market last year, this may be perceived as overly bullish or unrealistic by public investors, especially by those who have yet to be bought into the value of cryptocurrency, or already find it extremely risky as an asset class. The questions and doubts from public investors around the unpredictability of the crypto market will be one of the many challenges that crypto companies face if they choose public markets. As we mentioned previously, there are many reasons to stay private as a crypto company, including keeping quarterly financials private as well as dealing with market fluctuations and the ongoing volatility and uncertainty in the cryptocurrency world. However, the con is that early employees may not get liquidity in their stock options. Wu has said that a Bitmain IPO would be a “landmark” for both the company and the cryptocurrency space. In such a bear market, Bitmain may be taking a risk by going public, but it’s certainly a large step on behalf of the crypto market. When the filings came out, the value of Bitcoin Cash rose by 23.7 percent from the start of the day, reaching a nearly three-week high, and at around 6pm PST it was still up 20 percent. Several of Bitmain’s competitors have filed for IPO since the beginning of 2018, but most of them are significantly smaller. For example, Hong Kong-based Canaan Creative filed in May, and its latest target is $1 billion to $2 billion in fundraising with 2017 revenue of $204 million. If Bitmain’s Q2 was as poor as the numbers suggest, it may need to revise the target raise for its Hong Kong listing. Google is turning 20. The company may lead the way in mobile technology and self-driving cars these days, but 20 years ago it started as a humble search engine that ultimately changed the internet forever. To celebrate its 20th birthday Google has announced a slew of Easter eggs that flash back to when the company first started — and they can be found in a few different Google products. For starters, as you might expect, there’s a Google Doodle celebrating the 20th birthday of the company. The Doodle is playable and when you click on it, the video will show a number of popular searches from the past 20 years. For those searching some arguably outdated terms, Google will also now help you flash forward to 2018. For example, if you search “MP3 file,” Google will ask if you meant “stream music.” If you search “chat room,” Google will ask if you meant “text the group.” And so on. There are Easter eggs beyond those in Google Search. 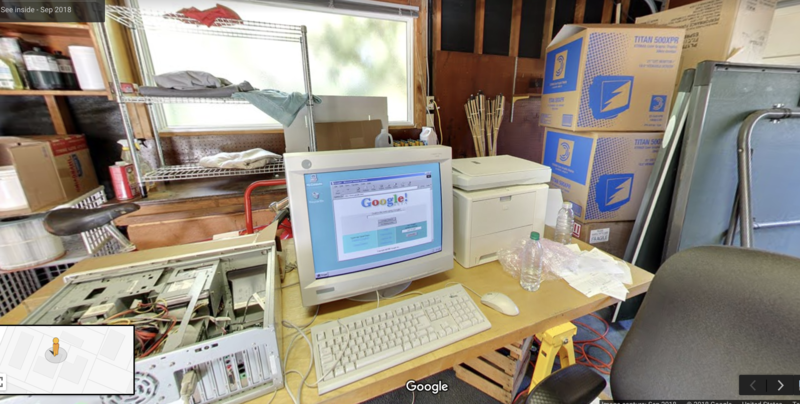 For example, you can stroll through the original Google Garage in Street View, and check out where the now-massive company was started 20 years ago. 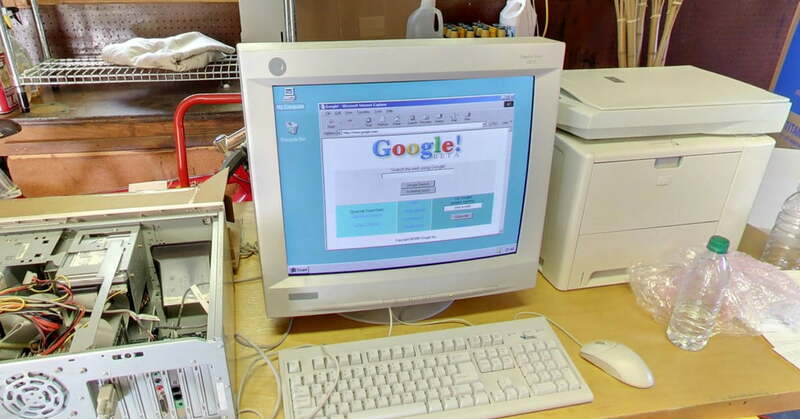 As you walk through the side door of the garage, you’ll find things like an old CRT computer monitor showing the original Google beta website. Then, you can walk through the house, you’ll find things like ideas for the Google logo, a series of power cables snaking through the house, and more. It’s a good look into the history of the company. As Google describes, as the company grew, it grew into the bedrooms and the rest of the bottom floor of the house, and as you explore that area, you’ll find different items like a collapsible mini rainbow sphere, surf-frog terrarium, and so on. Google isn’t just celebrating with Easter eggs, it’s also launching a redesigned Google Images desktop website, which includes a new ranking algorithm designed to help you find what you’re looking for more easily. “Over the last year, we’ve overhauled the Google Images algorithm to rank results that have both great images and great content on the page. For starters, the authority of a web page is now a more important signal in the ranking. If you’re doing a search for DIY shelving, the site behind the image is now more likely to be a site related to DIY projects. We also prioritize fresher content, so you’re more likely to visit a site that has been updated recently,” Google said in a blog post. Cryptocurrency speculation is over. That’s why I’m excited to announce that Vinay Gupta will join us at TechCrunch Disrupt Berlin to talk about cool use cases that could make blockchain projects useful, beyond financial services. Gupta worked on the initial release of Ethereum back in 2015. He contributed when it comes to project management. He then worked with the Consensys team on other cryptocurrency projects. But he’s now 100 percent focused on his own project — Mattereum. As the name suggests, it’s all about bringing physical objects to the blockchain. For instance, if you buy an expensive painting, you want to make sure that you sign a contract with the previous owner that says that you now own this painting. Mattereum helps you set up self-executing smart contracts to transfer digital assets (including tokens that could prove the ownership of a painting). But if you want to combine smart contracts with good old legal contracts, Mattereum has also worked on Ricardian contracts so that those contracts have a legal value. Finally, Mattereum also worked on a decentralized dispute resolution platform that can be enforced in a national court. If you want to listen to Gupta talk about Mattereum himself, then you should come to Disrupt Berlin. Buy your ticket to Disrupt Berlin to listen to this discussion and many others. The conference will take place on November 29-30. In addition to fireside chats and panels, like this one, new startups will participate in the Startup Battlefield Europe to win the highly coveted Battlefield cup. Vinay Gupta is a technologist and policy analyst with a particular interest in how specific technologies can close or create new avenues for decision makers. This interest has taken him through cryptography, energy policy, defence, security, resilience and disaster management arenas. He is the founder of Hexayurt.Capital, a fund which invests in creating the Internet of Agreements . Mattereum is the first Internet of Agreements infrastructure project, bringing legally-enforceable smart contracts, and enabling the sale, lease, and transfer of physical property and legal rights. He is known for his work on the hexayurt, a public domain disaster relief shelter designed to be build from commonly-available materials, and with Ethereum, a distributed network designed to handle smart contracts. Building on the features of the Instax Square SQ10 that it launched in 2017, Fujifilm has announced the SQ20 square-format camera. Like its predecessor, the SQ20 is a hybrid device offering digital shots as well as instant prints using its Instax film system. So, what’s new? Notably, the SQ20 becomes the first among Fujifilm’s range of Instax cameras to shoot video, though clips are limited to just 15 seconds and have no sound. Its primary purpose is really to enable new photo effects, among them Frame Grab that lets you pick out and print your favorite frames from your video clips. There’s also a new Sequence feature offering “dynamic and dreamy” images at the press of a button, which again draws on the video footage to create the photo. Time Shift Collage lets you shoot four sequential photos with one shutter press, with the time lag able to be set at intervals of anywhere between 0.2 seconds and 2 seconds. All of the photos can then be printed out together on a single sheet, with equal space given to each image. Collage, on the other hand, offers irregular frames within the print into which you can place any images you like. The Fujifilm SQ20 is also the first Instax camera to offer a zooming function (4.0 x), allowing you to adjust the frame of a shot without moving, or to get closer if the subject is far away or hard to reach. Like its predecessor, the SQ20 also lets you add a range of different filters to your images before you print them. Don’t expect amazing digital images — the SQ20 is really all about instant fun. The digital images are shot at 1920 x 1920 pixels with a 33mm, f2.4 lens, an aperture that makes it usable in low light although it has a built-in flash if needed. The camera also has an unspecified amount of built-in storage good for “about 50 images and 30 seconds of video,” though you’ll be happy to hear there’s a slot for a memory card, too. 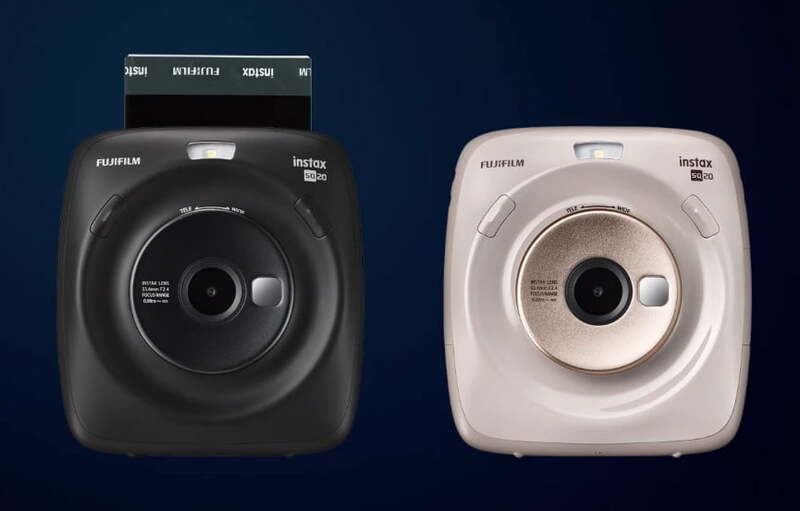 Fujifilm’s Instax Square SQ20 camera comes in two colors — beige and matte black — and will be available globally for $200 from October 20, 2018. Fujifilm’s Instax cameras have been selling well, by all accounts, and are particularly popular with the younger demographic, with shipments exceeding 30 million units globally since it introduced the system 20 years ago. When Fujifilm released its first Instax device in 1998, digital camera, smartphones, and apps like Instagram and Snapchat were still many years away from seriously disrupting the market. The company achieved a million Instax camera sales for the first time in 2002, but just two years later, as digital cameras started grabbing consumers’ attention, Fujifilm managed a mere 100,000 Instax camera shipments. With consumers taken by digital camera technology and, later, smartphones and their accompanying apps, Fujifilm puts its Instax business on the back burner and instead focused on its high-end X-series of mirrorless digital cameras, which have helped to revive its fortunes. But then, around six years ago, it detected renewed interest in analog technology, prompting it to once again invest time and money in its Instax business. A refreshed line of Instax cameras have proved popular and sales have been climbing ever since. Besides the SQ20 and SQ10, the range currently includes the Instax Square SQ6 along with the Instax Wide and five different Instax Mini cameras. It also has a Hello Kitty-themed Instax Mini, and this week the company announced a Taylor Swift-branded SQ6. Lots of other companies have also launched their own instant cameras — Leica announced its first one just a few days ago. Here’s our pick of some of the best. China’s Didi Chuxing is fighting fires at home around passenger safety, but overseas the ride-hailing giant has moved into another new market after its taxi-booking service began operations in Japan. The service has gone live in Osaka, the city of nearly nine million people, and parts of the surrounding area including Kansai International Airport. The Didi Japan app links passengers up with drivers from 10 local taxi companies, and Didi said it will use an AI-based dispatch and fleet management system for efficiency. Didi, which is valued at $56 billion, entered Japan in partnership with SoftBank, which is of course one of its investors. The company said it plans to expand the service to major cities including “Kyoto, Fukuoka and Tokyo” in the near future. The company is going to stick to license taxis and not private cars because the latter is banned in Japan. Still, the traditional taxi industry is big business in Japan . The country is the world’s third largest taxi market based on revenue ($13 billion GMV), and it has some 240,000 licensed vehicles. Uber, meanwhile, is piloting a similar taxi-based approach across Japan, but there are some far bigger players in the space. JapanTaxi is a ride-hailing startup operated by Ichiro Kawanabe, who runs Japan’s largest taxi operator Nihon Kotsu and heads up the country’s taxi federation. JapanTaxi also has big-name backers, with Toyota the lead investor of a recent $69 million funding round. Beyond that, popular messaging app Line operates a ride-hailing service while Lyft, Uber’s rival in the U.S. market, is considering entering Japan, too. Didi is hoping to stick out from the competition by appealing to both travelers and locals. To help snag interest from tourists visiting the country, it has created a ‘roaming passport’ that will allow users of other Didi apps — including China, Mexico, Australia, Hong Kong and Taiwan — to use their regular Didi app in Japan. This Japan launch has been in the offing for some time — SoftBank and Didi announced the joint venture back in February — and this is the fifth expansion that Didi has completed so far this year. The company raised $4 billion at the tail-end of last year and it earmarked that capital for developing AI, core tech and international markets. Didi hasn’t held back in broadening its business globally. The company has expanded into Mexico and Australia organically, while it acquired Uber rival 99 in Brazil in a $1 billion deal and launched a franchise-based expansion in Taiwan. It global reach also includes investments, and it owns stakes in Uber in the U.S, Ola in India, Grab in Southeast Asia, Careem in the Middle East and Taxify in Europe and Africa. Uber’s 2016 shenanigans that saw it fail to report a massive data breach and led to it paying the hackers $100,000 has ended up costing the company $148 million. The ridesharing giant has agreed to pay the sum after reaching a settlement with all 50 U.S. states and the District of Columbia that had accused it of breaking the rules. The breach, in which hackers gained access to personal information linked to 57 million Uber customers and drivers around the world, came to light toward the end of 2017, a year after it had taken place. Uber knew about the hack but had tried to conceal it, going so far as paying the hackers $100,000 to destroy the stolen data. The data breach took place during Travis Kalanick’s time as CEO and at a time when the company was fighting battles on multiple fronts. Dara Khosrowshahi replaced Kalanick in August 2017 and during an overhaul of the company’s business practices, insiders revealed its wrongdoing. Khosrowshahi said he only found out about the hack shortly before it was made public, admitting that the company should have notified regulators as soon as they learned of the incident. “None of this should have happened, and I will not make excuses for it,” the CEO said at the time while insisting that Uber would learn from its mistakes. The $148 million fine will be split among the states and each will decide how the money is used. 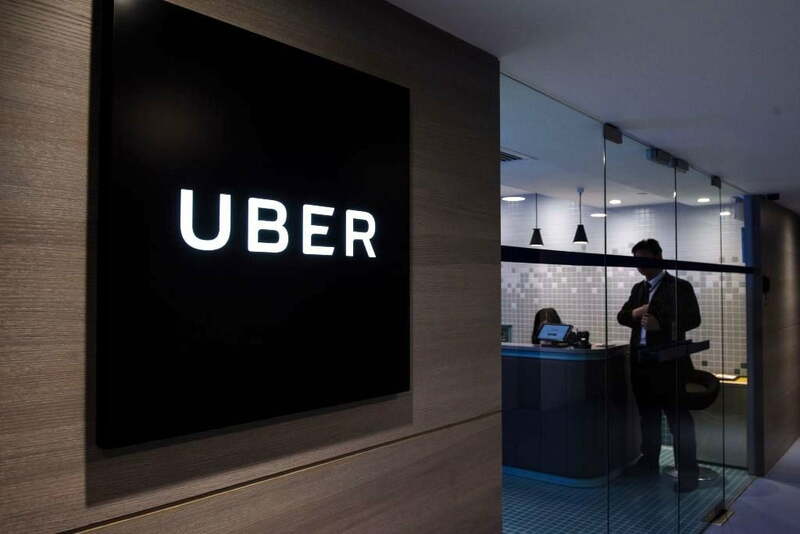 Uber has also agreed to continue with ongoing efforts to incorporate new systems aimed at preventing future hacks, and to improve its corporate culture. Amazon’s extraordinary growth in recent years has forced traditional brick-and-mortar retailers to adapt or die, with major chains creating online stores to compete with the Seattle-based behemoth. 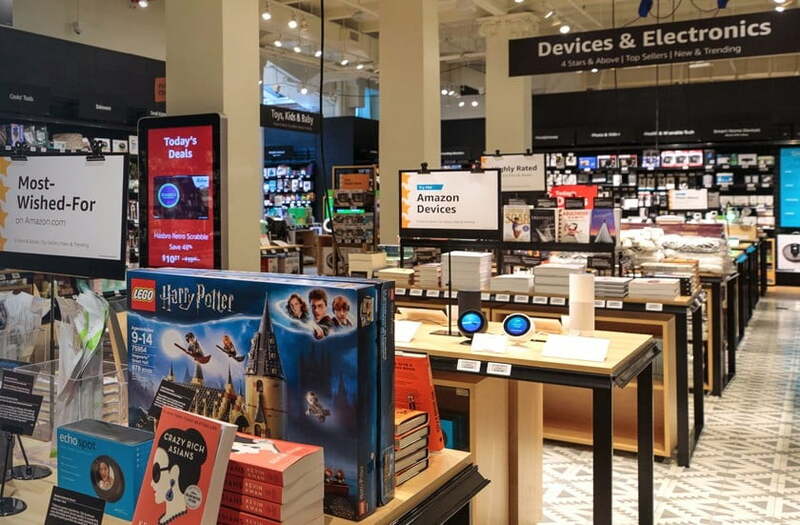 So it’s with some irony how Amazon has started to do the reverse, opening a string of brick-and-mortar stores to take on those giants to beat them at their own game and utterly dominate the world of retail. Following the opening of a string of book stores and, more recently, several revolutionary Amazon Go stores that let you just grab your stuff and go, the company has just announced that on Thursday, September 27, it’s opening Amazon 4-star, a physical store in New York City. As its name suggests, Amazon 4-star will sell products that have been rated highly by customers shopping on its online store. Top sellers, as well as new and trending items, will also feature in the new retail space. Located on Spring Street between Crosby and Lafayette Streets in Manhattan’s trendy SoHo neighborhood, Amazon 4-star will start by offering products from its most popular categories at Amazon.com, namely consumer electronics, kitchen, home, toys, books, and games. Visitors will also find special displays showing “most-wished-for items” created according to data from its online store, and products that are popular specifically in the New York area. Digital price tags alongside every item show will show the regular price and a cheaper Prime price — that’s right, you can shop for less if you’re an Amazon Prime member. With Amazon 4-star, the company is testing the water to see if its latest physical-store idea flies. There’s no suggestion at this stage that Amazon is planning to open additional Amazon 4-star stores. Amazon 4-star opens Monday through Saturday between 10 a.m. and 9 p.m., and on Sundays between 11 a.m. and 8 p.m.
Twenty years ago this month, a pair of Stanford PhD students founded a search engine company based in their friend Susan’s Menlo Park garage. Initially named “BackRub,” Larry Page and Sergey Brin eventually thought better of it and opted for a misspelling of the term googol, denoting the number one followed by 100 zeros. To mark its 20th anniversary, Google’s peppering its properties with some fun Easter eggs, in addition to the above doodle. Starting today, a number of circa 1998-style queries will prompt the suggestion “It’s 2018! Did you mean? It’s a history littered with school jackets, empty pizza boxes and a stray Koosh ball or two.